Building household toilets and bathing rooms (shower stalls) for each family in the village, followed by establishing water source, construction of overhead water tank, and laying pipes for running water to each kitchen, toilet & bathing room. The project began by building household toilets and bathing rooms (shower stalls) for each family in the village. Every village is required to raise on average a corpus fund of Rs. 1000 per family; of which the interest is used to extend the same facilities to new households as the village grows. This is then followed by establishing the water source, construction of an overhead water tank, and laying the pipes for running water to each kitchen, toilet and bathing room in the village. 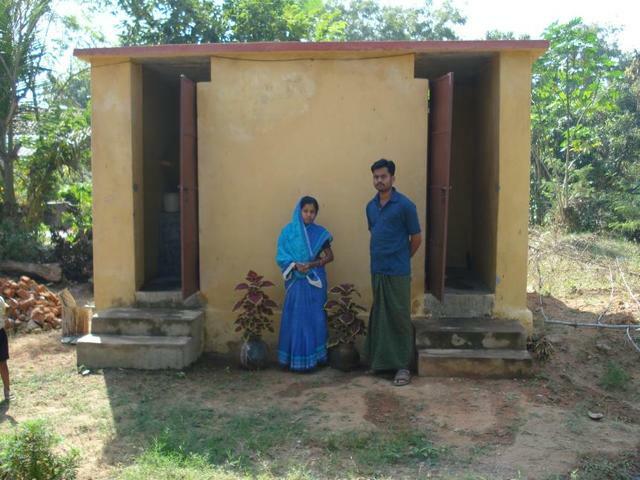 A lot of effort goes into motivating men, women and children to use and maintain the toilets appropriately. Good hygienic habits are taught: hand washing and nail cutting and maintaining the cleanliness of village surroundings. At the same time Gram Vikas builds the capacities of the village institution to manage their sanitation and water supply systems. 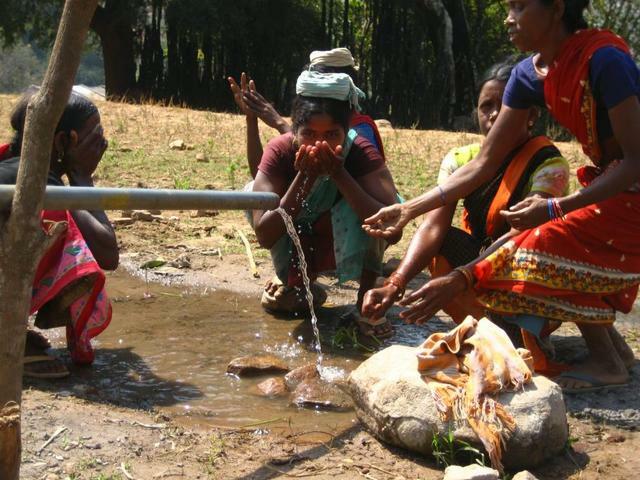 Gram Vikas leverages funds from the government to establish piped water supply in villages. The funds are made directly available to village committees who then implement the water supply project with technical assistance from Gram Vikas. However, recent changes in government policies have led to greater control of the funds and implementation by the departments, leading to unusual delays. Many villages have been waiting for nearly two years with little hope of change in government policy, and therefore unable to construct their water supply system. This project in collaboration with Charity:Water, Gram Vikas, was initiated in April 2008 to construct 14 overhead water tanks and the necessary distribution lines, in 14 remote villages across Orissa, where the toilets and bathing rooms have already been constructed and the kitchen taps have been installed. Before the inception of Charity Water project villagers were struggling 5hrs in a day to fetch water from distance places. Sometimes they had to return empty handed as most of the water sources dried up. Having no way out village ladies collected water from dirty sources in the vicinity like pond, chua etc. The village had one tube well & more than 200 population were depending on it. Women used to make long ques till late night.Some times it dragged them in to petty quarrel among them. Gram Vika with support of Charity water started uniting people with its MANTRA approach. After year long continuous effort the scenario has changed. I had been to the village for two days & observed following make overs. Villagers enjoy the abundant flow of water. Gone are the long que days.Women can utilize their time in constructive work like Self Help Groups, taking care of their family, children's study. They can also grow kitchen gardens in the back yards having advantage of green vegetables & nourishment to family. 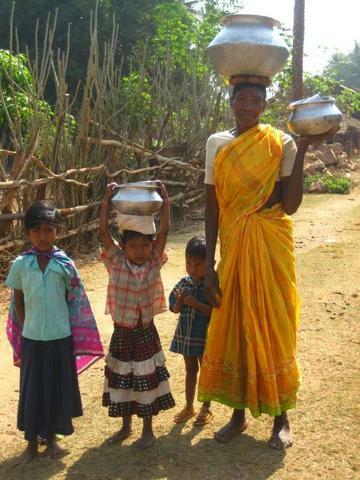 They happily say,"We were going to fetch water now water is coming to our home, indeed a great achievement". See attached document for full text and tables of village names and demographics. 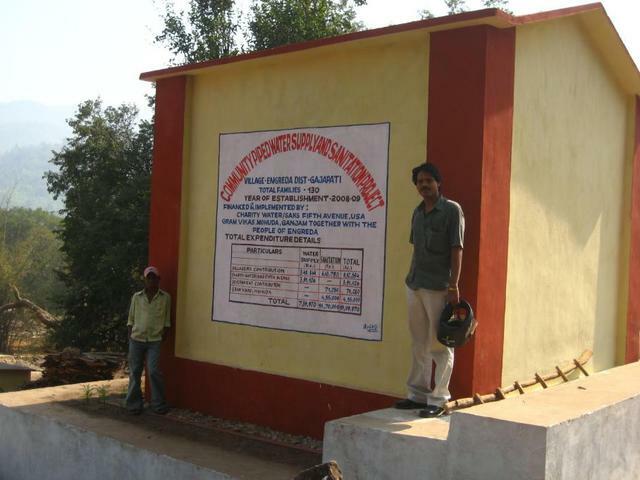 Gram Vikas leverages funds from the government to establish piped water supply in villages. The funds are made directly available to village committees who then implement the water supply project with technical assistance from Gram Vikas. However, recent changes in government policies have led to greater control of the funds and implementation by the departments, leading to unusual delays. Many villages have been waiting for nearly two years with little hope of change in government policy, and therefore unable to construct their water supply system. This project in collaboration with Charity:Water, Gram Vikas, was initiated in April 2008 to construct 13 overhead water tanks and the necessary distribution lines, in 13 remote villages across Orissa, where the toilets and bathing rooms have already been constructed and the kitchen taps have been installed. Due to a number of reasons we have had to change the villages originally proposed to Charity:Water. The number of villages to benefit from phase one has also been increased to 14. Attached report shows status also. 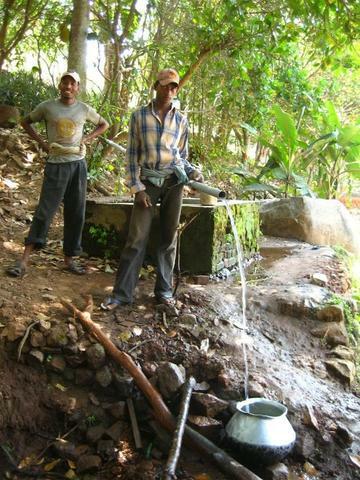 During the reporting period, of the thirteen villages, water supply has been made fully functional in one village. In three villages the construction of overhead water tower is nearly complete and in the rest source identification has been made. The period between June to September saw heavy showers that led to slow down of the work. Currently the work is in full swing in all these villages. A district wise – village wise note is presented below. The construction of the water supply system is complete. Water has been provided through gravity flow mechanisms to the 64 families in Hikirima. Site identification for borewell had been made and borewell had been dug, however there was no yield. Therefore we plan to go for a second source. The construction of the concrete structure has been complete. An HDP water tank of 10,000 litre capacity will be installed. 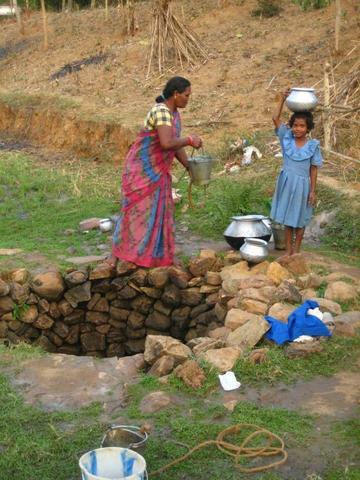 The water source, a borewell has been dug to provide water. The construction of the overhead water tower is completed and the borewell has been dug. The laying of the pipeline is under progress. The foundation for the water tower has been laid and the water source has been identified. Construction work will be initiated soon. Identification of water source has been completed, meeting held with the community regarding the community contribution and maintenance mechanisms . Work will be initiated soon. Identification of water source has been completed and collection of local materials initiated. Work will start in this month. Borewell has been dug and the construction of overhead water tank is under progress. Training in masonry for construction of water tank is underway. The site selection process for the water source and water tank has been completed and work has been initiated with laying the foundation for the water tower. Material collection for the construction has started and the water source identified. The site for the water tank has been finalized and the water source (borewell) has been identified. Communities have mobilized local materials for the construction and work will be initiated this month. The construction of water tower is under progress and roof has been cast at the first floor level. People have contributed materials for the overhead water tank. The water source, borewell has been dug but the yield has been found to be low. We need to dig further deep or alternatively go for another source. Site selection for the water source, an open well has been done and work started. People are mobilizing resources for the construction of overhead water tower, and the work will start soon. To ensure the long-term sustainability of the project, a Village Executive Committee (VEC) is established, comprising of an equal number of men and women to manage the project after Gram Vikas’ withdrawal. To aid the committee, members of the VEC are trained in various areas such as leadership and bookkeeping. The committee is responsible for the day-to-day implementation and functioning of the water and sanitation project. They also draw up norms and rules in consultation with the general assembly of the village with regard to village cleanliness, use of toilets, keeping the toilets clean, and control wastage of water. As of March 2009, not every water tower was complete, especially in terms of painting and having the necessary writing to meet Charity: Water’s requirements. There have been two main problems common in many of the 14 villages with regard to completing the water tanks. 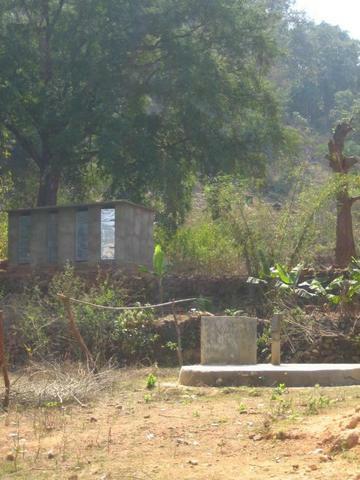 In some of the villages the toilet and bathing room construction was finished 3-4 years ago. However, due to the government not releasing funds, the construction of the water supply has been delayed until other funds, for example from Charity:Water could be secured. These communities therefore often face motivation problems in terms of taking up construction work again, which can result in the need for Gram Vikas staff to spend much time motivating communities. This therefore delays the work further. In many cases exposure visits to neighbouring villages are used to motivate other villages in the initial stages of gaining 100% inclusion and beginning the construction of the water and sanitation facilities. However, some of the villages covered under this project are smaller than villages they visited during exposure visits, and therefore their water tanks are smaller, often only one storey compared with two. The water tank’s are viewed as status symbol’s amongst villagers, therefore villages who only require a smaller water tower often get upset, and see their smaller water tank as being inferior to their neighbours’. This again can cause big motivational problems, and further delay the construction of the tank. In addition, due to many of the villages being very remote, and dispersed, as well as not every project having its own camera or GPS unit we are still collecting GPS coordinates and photographs. The other issue we have is training staff at the various projects to use the GPS, although it is quite simple, it can cause difficulties for staff who are not used to handling electronic equipment. We are currently working very hard to try to get to every village and record the necessary data. 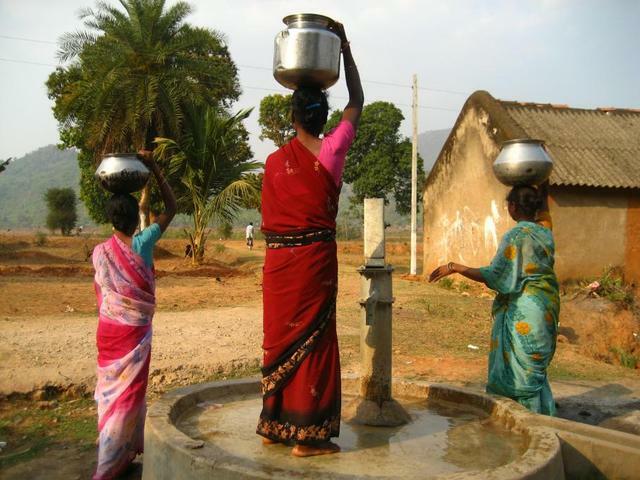 The water towers serve 14 villages across five districts; 2,203 women and 2,189 men receive water from these towers.